The task consists of matching networked ontologies from domains related to fisheries manipulated by the Food and Agricultural Organization of the United Nations (FAO). These corresponds to the ontologisation of resources like thesauri (ASFA, Agrovoc) or databases (Fisheries) which are currently in exploitation at FAO. They are made of several thousand classes each. The task is made of three data sets which are ontologies in OWL. AGROVOC is a multilingual, structured and controlled vocabulary designed to cover the terminology of all subject fields in agriculture, forestry, fisheries, food and related domains (e.g. environment). We use here the. They all import: aos.owl, asc.owl, faopa.owl. The conversion of AGROVOC into an OWL ontology is work in progress. Depending on the development of the conversion and on the feedback we receive from participants these moduels could be improved (and/or include other languages), or the entire AGROVOC-OWL could be given. The resulting dataset is made of around 2.500 classes and available here. Aquatic Sciences and Fisheries Abstracts (ASFA) is an abstracting and indexing service covering the world's literature on the science, technology, management, and conservation of marine, brackish water, and freshwater resources and environments, including their socio-economic and legal aspects. It is available in English, French and Spanish. The afsa-d ontology is made of around 10.000 classes and is available here. The fishery ontologies are developed by FAO, in the context of the NeOn project as a set of modular OWL ontologies covering the Fishery domain. 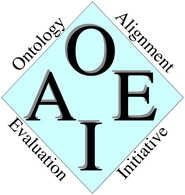 These ontologies are available from http://www.fao.org/aims/neon.jsp where one can also find information about the coding system modelled in the ontologies. Please note that the ontologies to consider are those that are "populated with instances" (it is expected that the result will contain instances matched against classes). Or as a comprehensive zip file. Mappings are not known in advance. Domain experts will assess samples of the mappings proposed and return participats results. The schedule is that of the OAEI 2008 campaign. We thank all the people in FAO working on AGROVOC and ASFA, and in the NeOn project.